Sure,add me on Facebook so we can do the details..
Another great mod by Nikola. Your contribution to the ETS2 modding community is appreciated. I like these mods but the diesel tank poke through it I do hope you can fix this. Nikola, can y fix this please ? 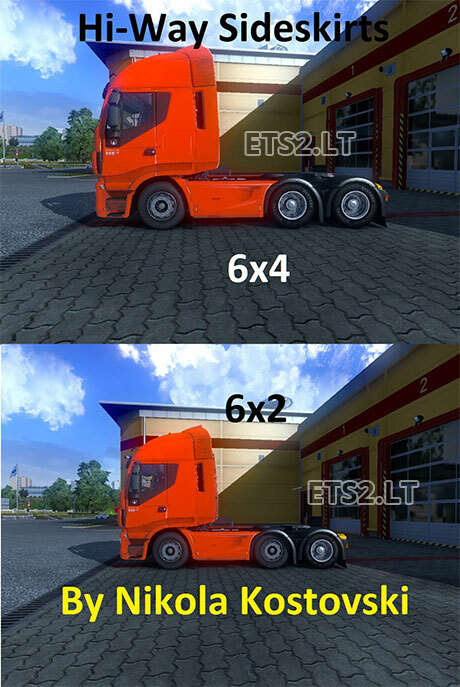 Make it for the “old” Stralis 6×2 and 6×4, please!